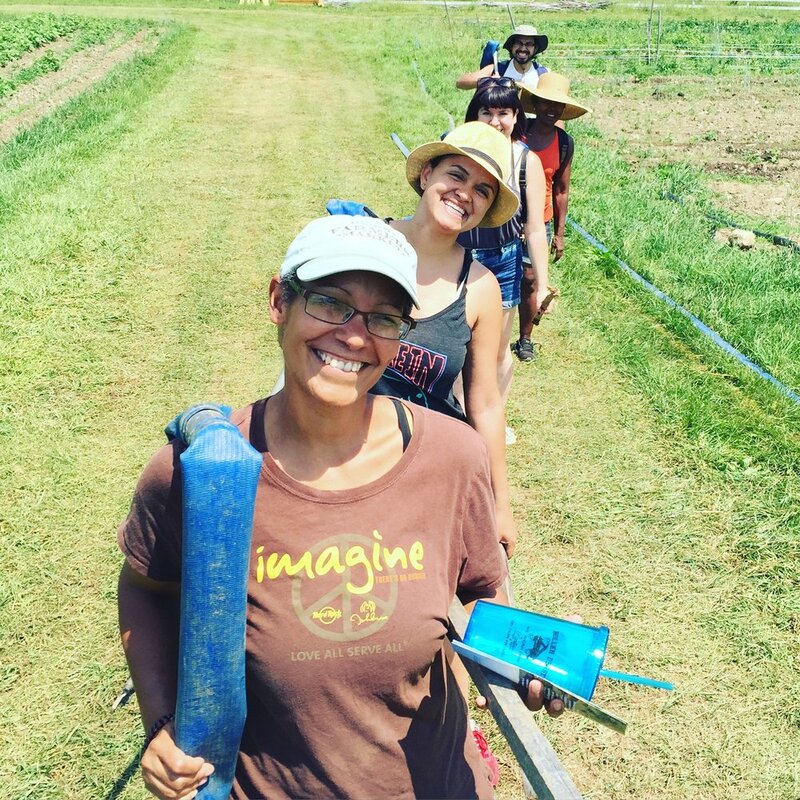 Rock Steady Farm is a women and queer-owned cooperative farm, rooted in social justice, growing speciality cut flowers and sustainable vegetables in Millerton, NY. We believe in utilizing holistic and sustainable farming practices that allow us to grow high quality vegetables, flowers and herbs for our community. As a for-profit farm business, and worker-owned cooperative, we strive to provide living wages for ourselves and our employees. We believe that all people have the right to healthy and nutritious food. Ecological Stewardship -- To continue to develop improved stewardship practices, to lower our tillage, increase cover crop production, improve our IPM practices, find creative ways to increase soil fertility and attract more natural pollinators. To increase equity in the food system -- for farmers, for workers, for women, for the LGBTQ community, for people of color and youth. To advocate for both land access and food access for diverse communities. Worker owner coop -- To develop a coop model that is approachable and manageable. To be a resource to other farms and small businesses. Agriculture is hard. Engaging people at the ownership level will allow them to intellectually, financially, and relationally interact with farming differently -- hopefully from a place of empowerment. To provide living wages & high quality of life for all workers and worker owners -- We want to create a unique work experience for our employees that uplifts the hard-work of farming while employing practices that humanizes and enriches their experience. We want to provide work that holistically fulfills ourselves, our employees and the communities that we work with while maintaining a healthy life/work balance. To be a thriving for-profit farm with a social justice mission -- Our vision is to earn an income from the products and services that we provide. To generate from our bodies, minds and earth, the goods and services that provide us a living. We want the freedom to be nimble and adjust to the community and market needs. To be creative as new worker-owners, bring different skills and strengths, and to not be bound to the needs of funders for our core operations. We also want more efficient farm systems, improved infrastructure, and secure outlets so that we can be more profitable. Healthy Partnerships -- We believe that we can’t reach our vision alone. It will be a collective process. A movement that we are a part of that includes partnering with people and organizations that can help us move the our vision/movement forward. While each partner contributes what they we do best for a mutually beneficial relationship. Much like in nature.